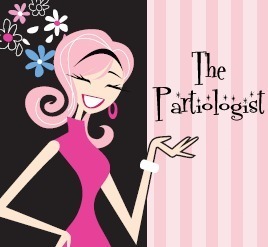 The Partiologist: Not Just a Brownie! Sometimes a brownie is a brownie and sometimes a brownie is a party. Today it's a party and brownie all in one because it's shaped like a party package. And covered in chocolate. What a fun way to wrap a gift...in chocolate, right? And quite simple if you take the time. 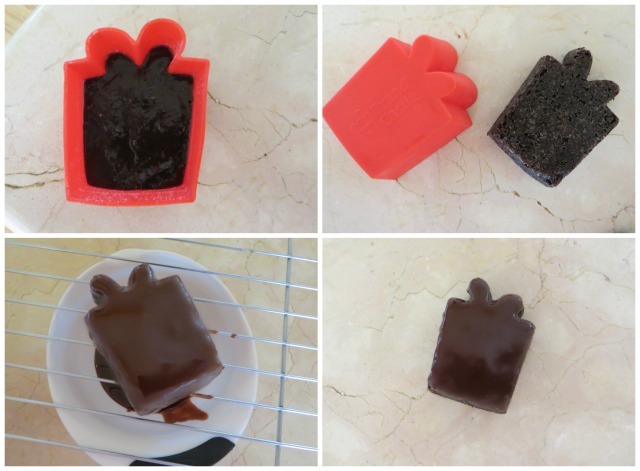 Fill the cute gift shaped silicone baking cup with brownie mix. Any square silicone mold would also work, I found the gift mold during the Holiday. Bake the brownies and freeze until you can easily remove from the cup. Place the brownie on a cooling rack and then place the rack over a bowl. Pour chocolate ganache over the brownie until it is completely coated. Roll strips of fondant and cut with a no. 2 strip cutter. 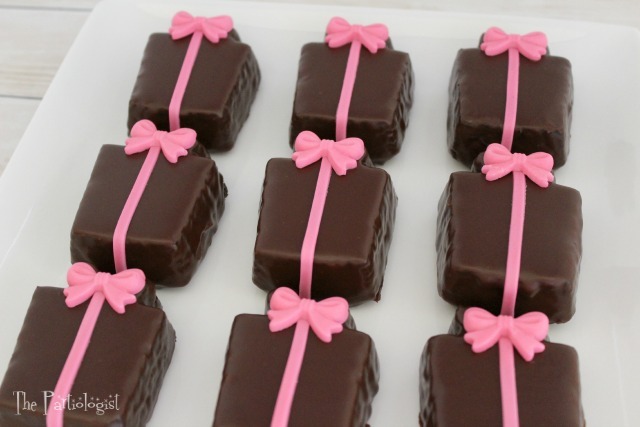 Make the bows by pressing fondant into the bow cavity. Take one fondant strip and wrap around the brownie, trimming at the top. Then add the fondant bow to the top of the strip. 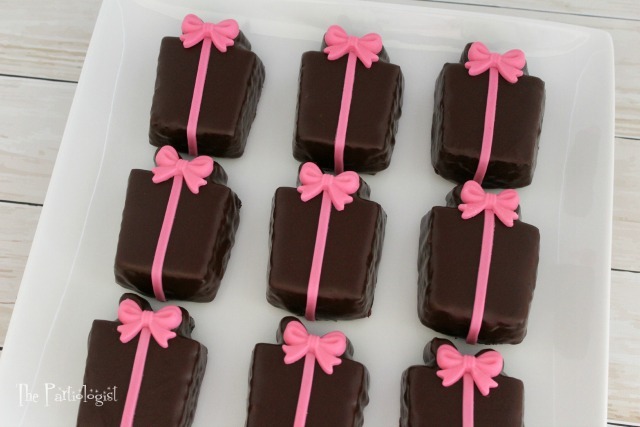 Continue wrapping the gifts with chocolate and fondant. Once wrapped, they're ready to be opened eaten! Because really, who doesn't love a gift of chocolate? 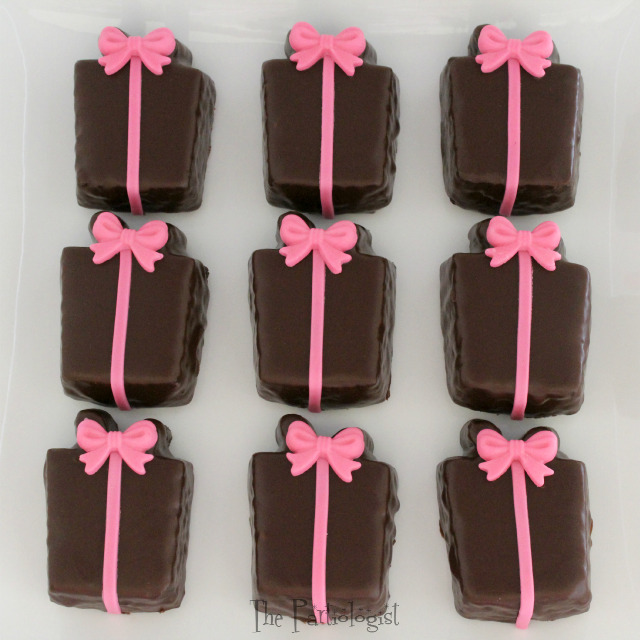 I love presents of chocolate and these brownie treats are perfect for a birthday party. I just finished the last one, a gift that keeps on giving! That would work Christine - I have done it with other cutters! Sounds good to me, thanks Lisa!